What are these tracks? What are they used for? 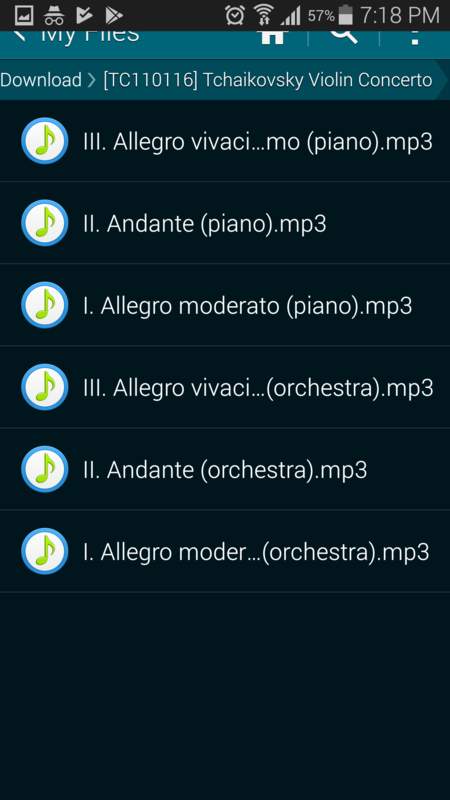 These are orchestral and piano accompaniment tracks, tempo matched to recordings of famous artists. They are designed to be played along with, bringing you an authentic experience of playing with a world class orchestra. Used by thousands of musicians around the world, our tracks have helped them prepare for competitions, performances and exams. 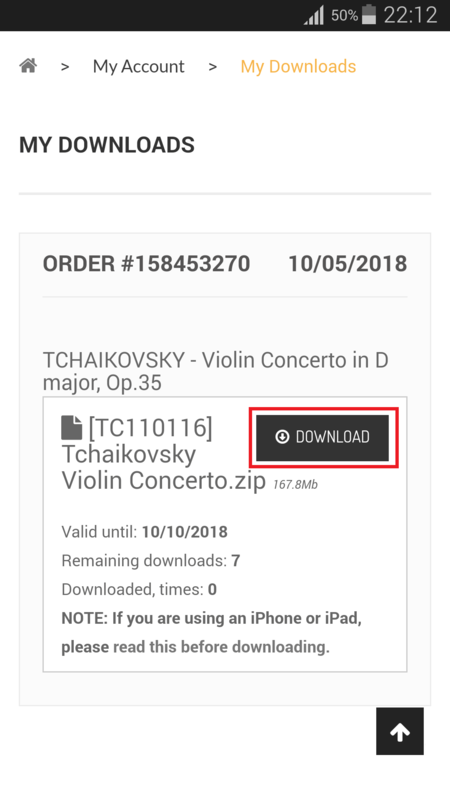 Once payment is confirmed, you will be directed to the downloads page, where you can download your product to a smartphone or computer. For detailed instructions, please refer to the "Purchasing The Products" section. Can These Tracks Be Modified? Yes, you can modify these tracks using audio software such as Audacity (Windows) or GarageBand (Mac). Changes such as adding/removing click beats or silence, adding repeats, or changing the tempo can all easily be done using audio software. Yes, we take requests. 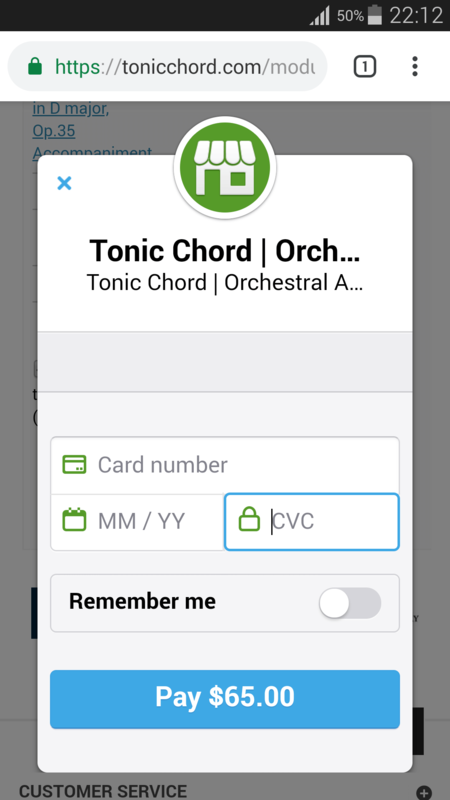 You can contact us through our support page or email us at support@tonicchord.com. When your request gets published on our site, we will notify you. 1. Before you begin, make sure you have an app that can open Zip files. We will use 'iZip' in this example. Install iZip. 2. Choose your product and press "Add To Cart"
3. 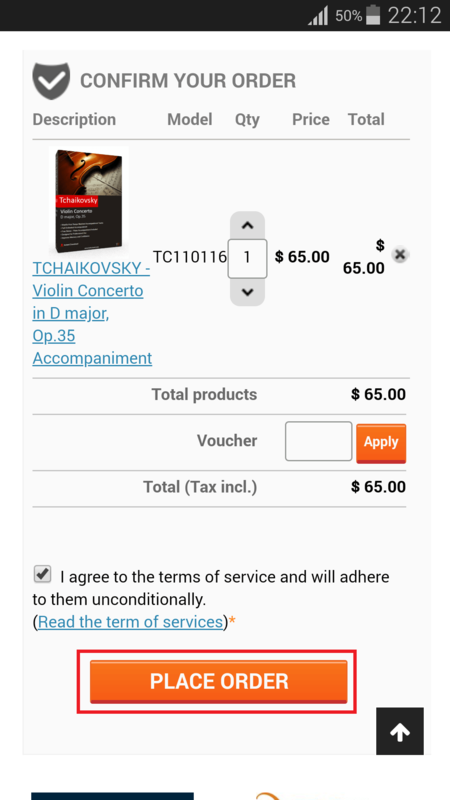 Press "Proceed To Checkout"
4. Create an account by entering in an email address, password and your details. If you are already registered, please login. 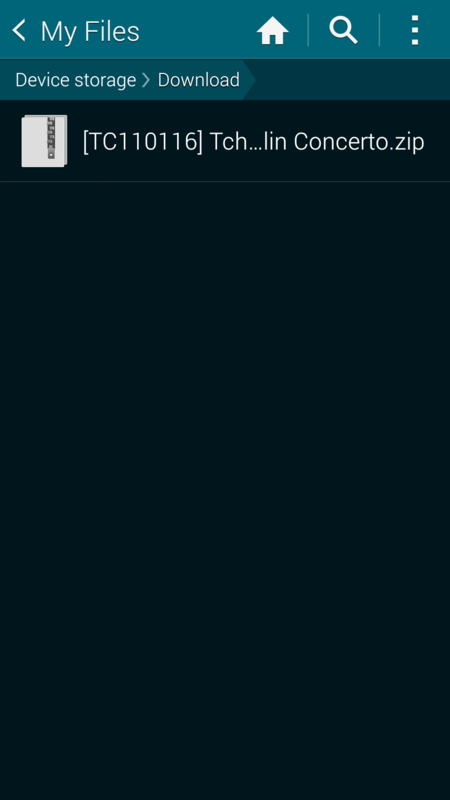 7.1. 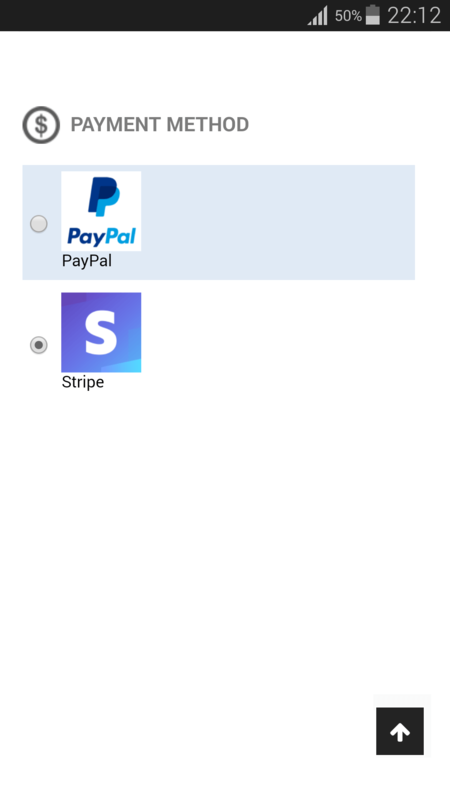 If you chose PayPal as the payment method, you will see this page. If you are a PayPal user, you can login to make the payment. Otherwise, you can use your credit card. 7.2. If you chose Stripe as the payment method, you will see this pop up. You can enter your card details here. The details are processed securely by Stripe. 8. After a short moment, you will see this confirmation page. Press "Proceed To Download" to continue. 9. Press "Download." It takes a few minutes to download, so please wait patiently. The link is valid for 7 days and 3 attempts. 10. When the download is complete, you will see this page. Press "More"
11. Swipe along the menu, and press "Copy to iZip"
12. Click on "OK" when you see the message "Would you like to extract all files?" 13. The files have now been extracted. Press on the file. 15. You can now practice with your new accompaniment tracks! 16. The extracted files are located in Files > On My iPhone > iZip. 1. 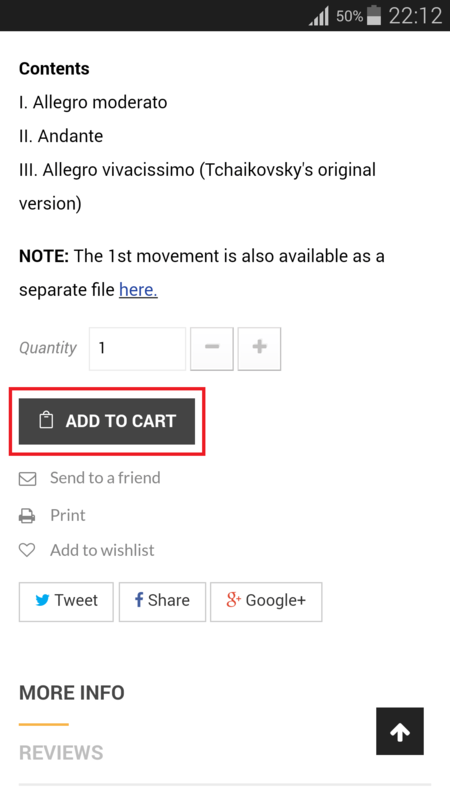 Choose your product and press "Add To Cart"
2. 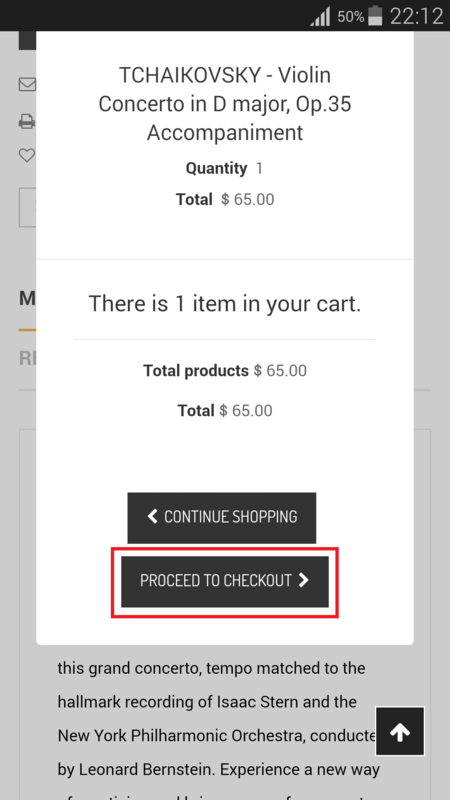 Press "Proceed To Checkout"
3. Create an account by entering in an email address, password and your details. If you are already registered, please login. 6.1. 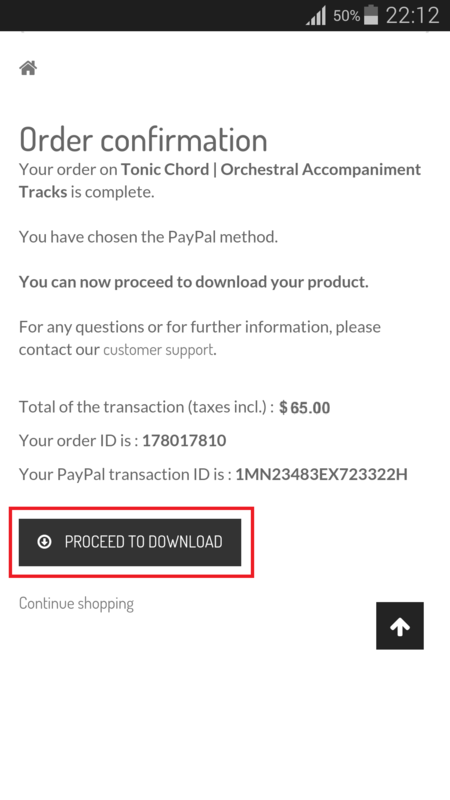 If you chose PayPal as the payment method, you will see this page. If you are a PayPal user, you can login to make the payment. Otherwise, you can use your credit card. 6.2. If you chose Stripe as the payment method, you will see this pop up. You can enter your card details here. The details are processed securely by Stripe. 7. After a short moment, you will see this confirmation page. Press "Proceed To Download" to continue. 8. Press "Download." It takes a few minutes to download, so please wait patiently. The link is valid for 7 days and 3 attempts. 9. Once Download is complete, you will see the notification and a link. Press "Open." 11. 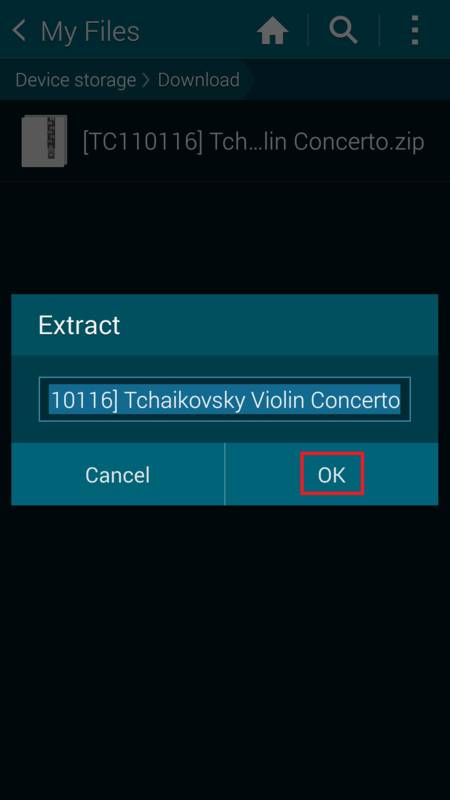 Press on the Zip file to extract it. Press "OK"
12. The Zip file will be extracted. 14. You can now practice with your new accompaniment tracks! Yes. This website is secured using SSL. 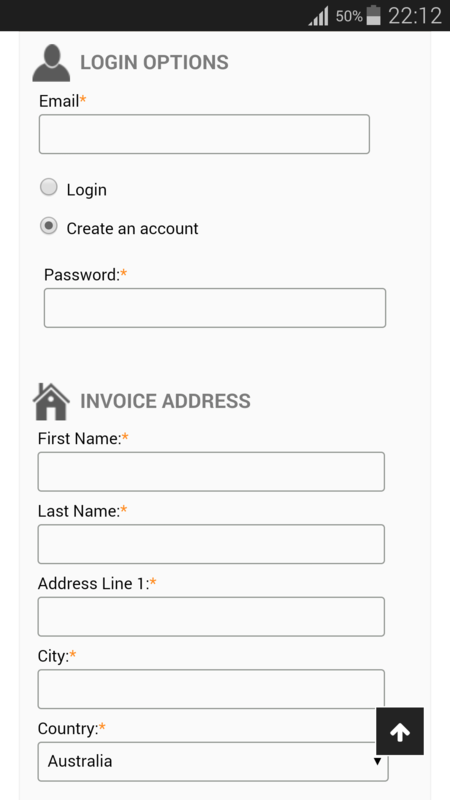 Payment details are securely processed by PayPal and Stripe. Your personal details are protected and will not be sold to any third parties. How Long Are The Download Links Available For? 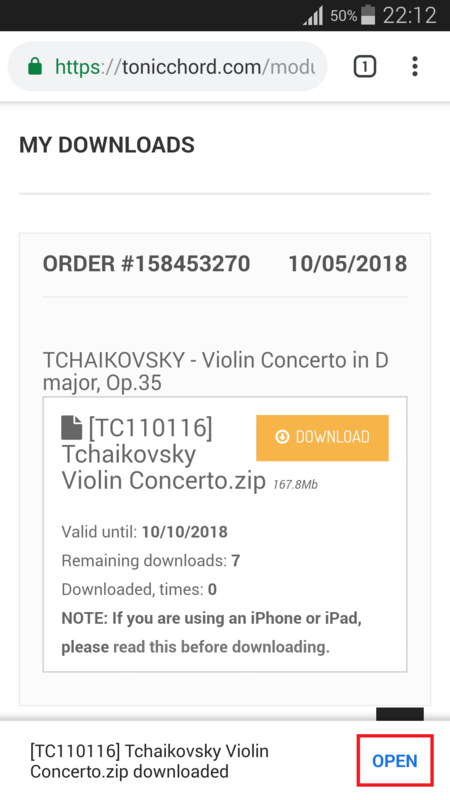 Once you have completed the order, a download link will be sent to you by email. The download link will be available for 7 days, up to 3 downloads. Please ensure that downloaded files are safely kept. If Something Goes Wrong With My Order, Can You Help? Are These Tracks Compatible With Apple iPhone/iPad? Yes, they are. But before you download the tracks, you need an app that can open Zip files. We will use 'iZip' in this example. 2. Login and go to "My Downloads." Press "Download." It takes a few minutes to download, so please wait patiently. The link is valid for 7 days and 3 attempts. 3. When the download is complete, you will see this page. Press "More"
4. Swipe along the menu, and press "Copy to iZip"
5. Click on "OK" when you see the message "Would you like to extract all files?" 6. The files have now been extracted. Press on the file. 8. You can now practice with your new accompaniment tracks! 9. The extracted files are located in Files > On My iPhone > iZip. 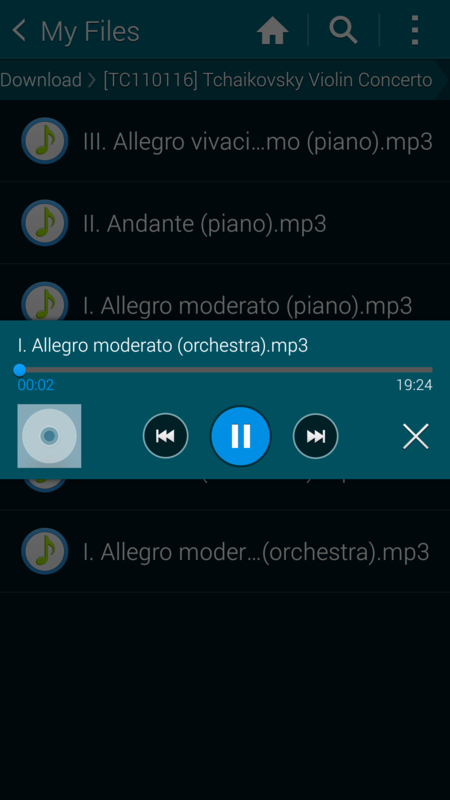 Are These Tracks Compatible With Android Smartphones and Tablets? Yes they are. You can easily use them on Android devices. 1.. Press "Download." It takes a few minutes to download, so please wait patiently. The link is valid for 7 days and 3 attempts. 2. Once Download is complete, you will see the notification and a link. Press "Open." 4. 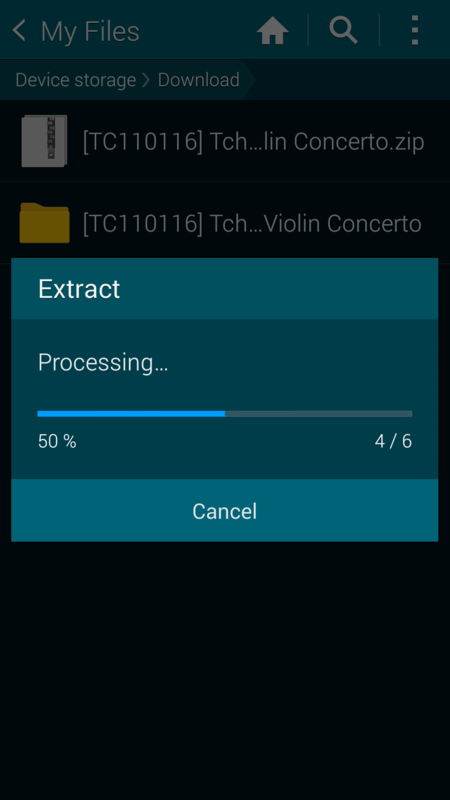 Press on the Zip file to extract it. Press "OK"
5. The Zip file will be extracted. 7. You can now practice with your new accompaniment tracks! Can I Make CDs From These MP3 Files? Yes, you can make CDs for personal use. Software such as Express Burn can be used for burning CDs. Can I Use These Tracks Commercially? No, unless you obtain Tonic Chord's express permission. Permission must be sought for any and all commercial uses of Tonic Chord's accompaniment tracks. To enquire about commercial uses of our tracks, please contact us at support@tonicchord.com, with the title "commercial use enquiry"
Yes, as long as your solo part and our accompaniment track cannot be separated into constituent parts. Please notify us and give full attribution to our website when you use our tracks for non-commercial purposes. 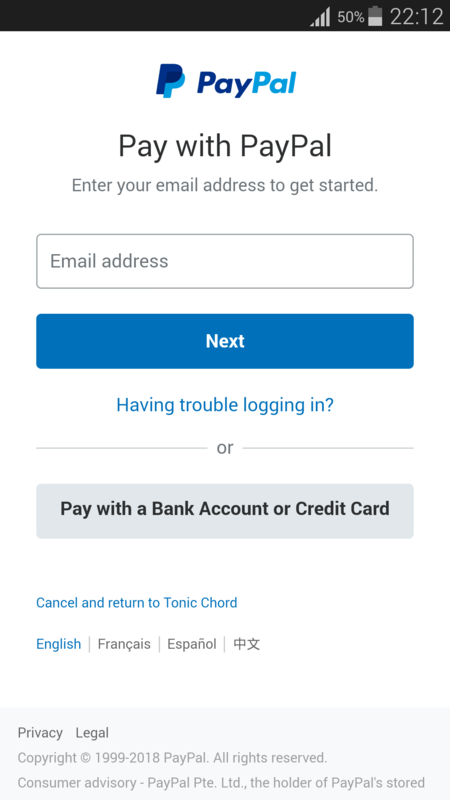 You can contact us through the support page, or by emailing at support@tonicchord.com. We usually reply within 1 working day. You can also message us on Facebook (https://www.facebook.com/Tonic-Chord-1510562882585457) and we will reply to you as soon as possible.